Everyone notices the athletes who score the big points and get the “oohs” and “awes” from the crowds, and while these individuals might garner the most attention, there are significantly greater numbers of players whose efforts don’t make the scorebooks. Yet, without their contributions, no team could be nearly as successful. 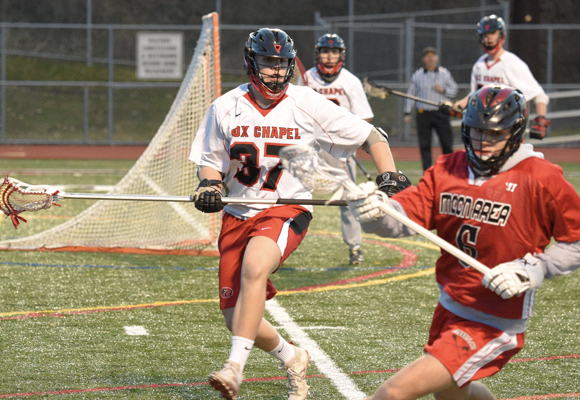 These players are the unsung heroes and this season the boys’ lacrosse team is blessed with an abundance of them. Coach Kevin Devinney is the first to point out how valuable these senior athletes are to his group’s success. 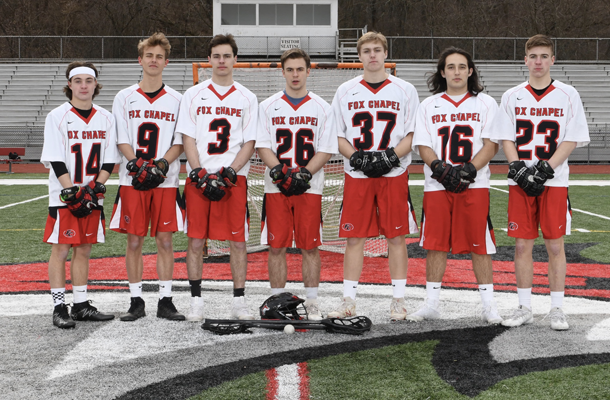 “John Bozzone, Jake Chivinsky, Luke Froehlich, Eric Gurklis, Collin Leffakis, Tommy O’Donnell, Ty Welty, and Bryce Zacharias are all players who might not have received some of the awards and accolades that some of their peers have, but they are extremely talented and are very important to us,” he points out. 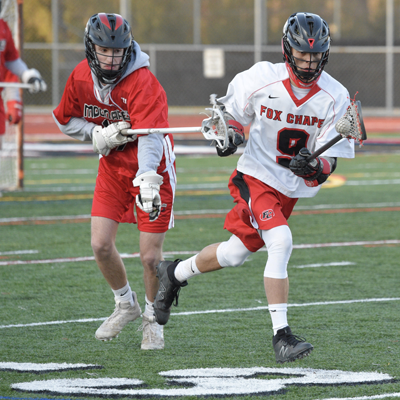 Midfielder Luke, an aggressive and fast player, has been on the team for four years, gradually working his way up to the starting varsity position he holds today. He says that earlier in his career, he wanted to score all the time and be noticed, but his goals have since changed. 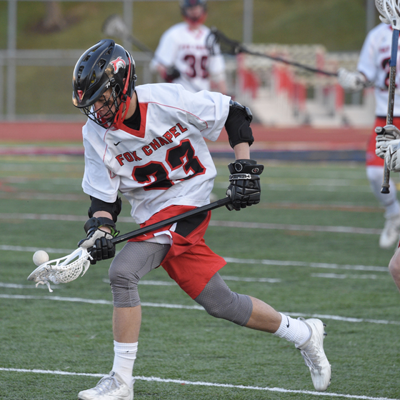 After playing for years when the rosters were filled with a large number of talented seniors, Jake is finally looking forward to the opportunity to prove himself on both sides of the field.